As most people are locked up in their offices or migrating south to escape the nasty weather, the Brothers Factory kids are taking over the deserted streets and urban outdoors. Their art; turning rails, walls and rooftops into sick features. But it all comes to a price, as they will be facing many dangers, such as the great protectors of the city. 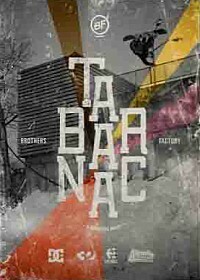 Stay tuned for the upcoming movie “Tabarnac” from these heavy hitters out of Quebec. Jeremy Cloutier、Frank April、Phil Jacques、そして数々の勢いのあるライダーのいる注目すべきプロダクションBROTHER FACTORYの最新作を是非チェック!